Once again, In nowadays, Users are way too lazy 😉 and prefer to not enter https:// in front of the Access Gateway FQDN. Netscaler is the medicine for those users. In a previous post I showed how to make the HTTP-HTTPS-REDIRECTION working without the use of the Content Switching Feature. In this case, Let’s do this using the beautiful Content Switching feature. Let’s suppose that we would like to redirect all HTTP requests comming to an access gateway with the URL “ssl.smali.net” to HTTPS. 1. We are going to define the domain name or all the FQDNs available on smali.net domain that the AGEE respond to. To make it simple let’s go with the Domain Name. 2. Create a responder action with permanent redirection (301 response). Attention: I specified a 301 redirect in the responder action to make sure any search engine spiders index my site URL as “https://www.sitename.com” and not as “http://www.sitename.com” for SEO purposes. 3. Create a responder policy using an expression to call for the “Pattern Set” we created in first step, and bind it to the “action” you created on previous step. 4. 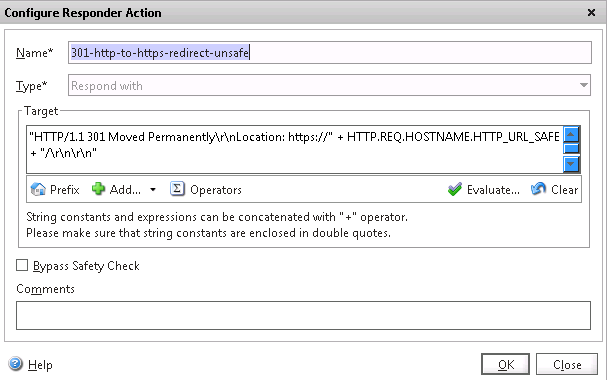 Create a Content Switching vServer using HTTP protocol and link the responder policy to it. Of course you need to assign the same IP as the one you are using on your Access Gateway vServer. In this case I suppose your Access Gateway vServer is configured to listen to SSL traffic on port (443). Note! If your Access Gateway vServer is configured on a non standard SSL port, (Meaning a custom port like 444, or whatever it is), then you need to configure an additional content switch vServer listenning to that custom port. 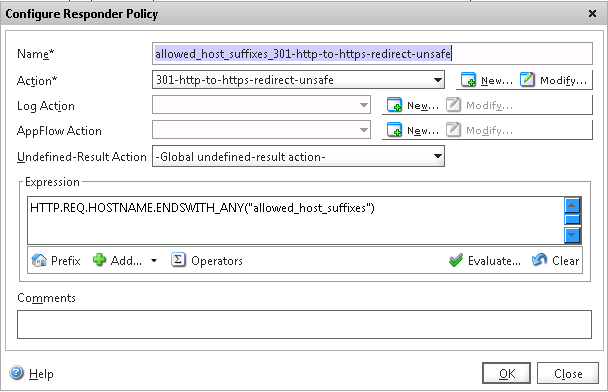 Beside that a new responder (action & policy) need to be configured to redirect the SSL 443 traffic to the custom port in question.